(Health.com)– Kids in Grades 3 through 6 who are fat are more likely to be bullied than their normal-weight peers, a new study has found. No one who has attended grade school -or who has even the slightest familiarity with kids – will be surprised by these findings. What is surprising, however, is that obese children are bullied more often even if they possess qualities that can discourage bullies, such as having good social skills or doing well in school. In the study, which appears this week in the journal Pediatrics, Lumeng and her colleagues followed more than 800 children — all born in 1991 — from 10 cities across the U.S. When the children were in the third, fifth, and sixth grades, the researchers surveyed teachers, mothers, and the children themselves about whether they were bullied, and also surveyed the adults about the children’s social skills. They then compared these responses with the children’s body mass index, a simple ratio of height and weight. Overall, kids who were obese were 65 percent more likely to be bullied than their peers of normal weight; overweight kids were 13 percent more likely to be bullied, although that finding was not statistically significant, the study notes. This pattern persisted even when the researchers took into account other factors that are associated with both obesity and being bullied, such as coming from a low-income family or doing poorly in school. The first problems to occur in fat kids are usually emotional and psychological. Childrens with obesity problems however can also lead to life-threatening conditions including heart disease, sleep problems, diabetes, high blood preassure, and others health disorders including liver disase, early puberty or menarche, skin infections and asthma and other repiratory problems. 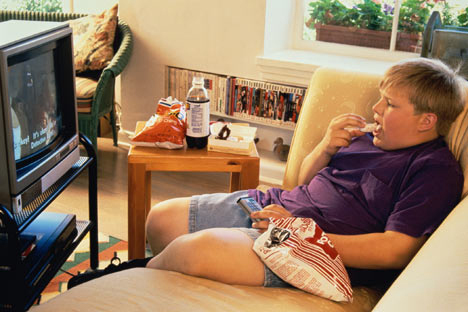 Studies have shown that overweight kids are more likely to grow up to be overweight adults. More than 70% of fat Adolescents and young adults fight their obese conditions with eating disorders such as anorexia and bulimia, and statistics of obese adolescents increase mortality rates during adulthood. Today’s children are receiving a one-two punch of bad nutrition. Not only do families have less time to cook, but healthy activities like tag and sports are giving way to indoor pastimes like playing static video games, pass several time using their computers, tablets, cellphones or just watching tv. You don’t have to read the newspaper or watch the news to find that out. Just take a look at kids at the mall or in the schoolyard, the current generation of children is showing a clear decline in their general standards of health. Perhaps you just don’t have the time to get creative and think about what you are going to serve for breakfast and lunch every single day. Maybe it is just easier to hand over the macaroni, day in and day out, to steer clear of the meltdown your toddler might have if you don’t serve his favorite meal? You Need Quick And Easy Meals Your Kids Will love Eat! However, that does not mean you need to serve the same foods every single day. There are many fun and easy breakfast and lunch recipes for kids. How about Breakfast Pizza or Cheese and Meat Pinwheels to change things up a bit? 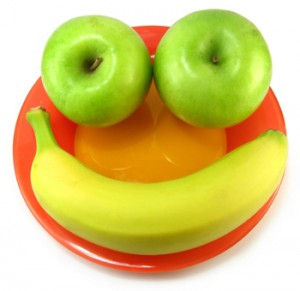 It is important for the nutrition of our children to have a balanced assortment of foods in their diet. In addition, their little taste buds need to be exposed to variety to help them learn to appreciate various foods as they grow. Kid Approved Meal by Christine Steendahl: includes 13 Weeks (5 days per week) of Tried and True Breakfast and Lunch Ideas that your kids are sure to love; along with Categorized Grocery Shopping Lists For Each Menu. We will introduce a variety of easy recipes that will inspire creativity in the kitchen. This book really help you gain variety and organization for mealtime. The menus inside this book will help you remember that certain kid friendly foods are available, as well as provide you with creative new ideas to try. It is time for health action, Mom. The absolute best personalized baby gift you can give your child is healthy lifestyle from infancy to adolescence.